If you do not have a lot of money or do not like spending a lot of money, then buying gifts can be difficult. 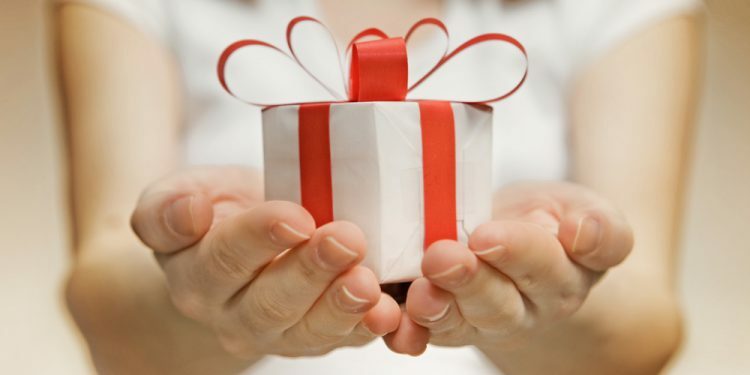 Many people really enjoy giving gifts to show people how much they think of them, but it can be difficult when you do not have the money or you would really like to spend the money that you do have on other things. There are ways though, that you can still give great gifts, without having to overspend. If you have been given gifts in the past which you will not use, then it can be very useful to hang onto them and re-gift them to someone that you feel will enjoy it. This can be a good way of treating others without having to spend out extra money. They will never need to know that you were given the gift and that it was not purchased especially for them. If you do start to accumulate a selection of items for this purpose, do be careful to label them with the name of the person that gifted it to you. You do not want to make the mistake of gifting back the same item to the person that gave it to you. They may become suspicious that it is the same item or they may just find it a little strange that you have given them the same thing that they gave to you. There are lots of shops around these days where you can purchase second hand items for a fraction of the price that they would be new. It can be worth looking in these shops for items to give as gifts. You may feel that you would not like to give someone a second hand gift but you can often find brand new items, with tags still on in these shops. This is a ways of getting a new item for less. You may also be able to get second hand items which look like new ones. Take a look in your local second hand shops and you will be able to see whether there is anything that you feel you would like to give as a gift. Making gifts to give to people can be a really special thing to do. Some people really appreciate the effort that goes into making gifts and you can make it to their taste as well. It is important to cost things out though as it can sometimes be dearer to make a gift yourself compared with buying a similar item. You also need to have a skill with craft, composing, writing, baking or whatever in order to produce a gift that looks really special. You can practise though, particularly with baking as you can eat up any experiments that did not quite work and you will not waste the money you paid out for it. Some people like to buy a big selection of gifts for others so that they have lots of presents. However, it is harder to remember what you were given if you have lots of things rather than just one. Also you can spend a bit more on just one thing, rather than lots of money on a selection of things. You will be able to pick out one really special item. So consider just buying one gift rather than buying more than that. It can be worth making no present pacts with some people. Some may also be struggling to afford to buy gifts and so may appreciate the reduced spending burden. Discuss it with a few people and explain that although you care for them and want to show them that, doing it by exchanging gifts can be expensive and can sometimes mean you are giving things which are not that useful to them. Therefore it could be better to just keep the money so that you have more to spend on your housekeeping and buying items that you really need. Some people will not like the idea and you may know who they are before you even approach them, so it may be best not to speak to them. However, there may be some people that are happy to do this. If you like to buy things from the shops, then shopping during the sales can be a good way to save money. You will have to be organised and shop when the sales are on in preparation for the occasion when you need the gift. It is also wise to compare prices when you are shopping. Even if things are discounted in one place, you may still be able to find it cheaper in another store. Therefore check before you buy so that you know that you are not paying more money then you need to.